• Elite consignments from reputable breeders who are committed to the future of the breed. • An economic opportunity to invest in progressive Shorthorn genetics that will increase in value and improve your herd. • A venue to learn and network and make long-term connections with fellow Shorthorn breeders from all over the U.S. and Canada. • A fun, memorable experience that you and your family will enjoy together with Shorthorn cattle and Shorthorn friends. 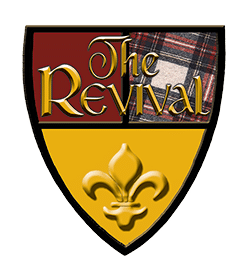 • Your Revival purchase creates the eligibility to consign to future Revival sales.